This war was began after Germany invaded Poland. This caused Britain and France to declare war. Soon after Canada joined on the Allied side, and Japan on the Axis side, creating the Rome-Berlin-Tokyo Axis Soon after Japan attacked United States and they joined the Allied side. This was the bomb that set off World War 2, France and Britain ordered Germany to cease its invasion on Poland and when it refused, war was declared. This was Germany's opportunity to test their new warfare, Blitzkrieg. A lightning fast invasion, bombing key defense positions followed by armor and infantry rushes, ending invasions with great speed. Germany had begun it's mass invasion of countries displaying that this truly was a world war. In April 1940, Germany invaded Denmark and Norway to secure shipments of iron ore from Sweden.Denmark immediately capitualated and Norway followed 2 months after. Note: This led to Winston Churchill being chosen as PM. Germany invaded France, Belgium, the Netherlands, and Luxembourg on 10 May 1940. The Netherlands and Belgium were overrun in weeks because of blitzkrieg tactics. France was invaded by Germany and Italy on June 10th 1940. This led to the mass evacuation of British troops from Dunkirk. On the 22nd of June, France surrendered leaving almost all of Britain's armed forces in an extremely unfavourable position. 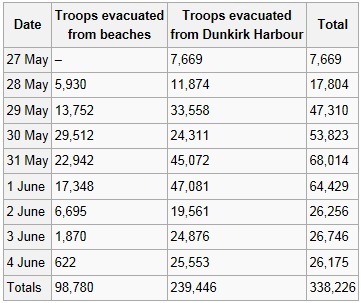 The Evacuation Of Dunkirk was a desperate attempt to save Britains forces or else they would lose their entire army. The following is a picture of the evacuation and a graph of it. The Battle of Britain was the first major campaign to be fought entirely by air forces. 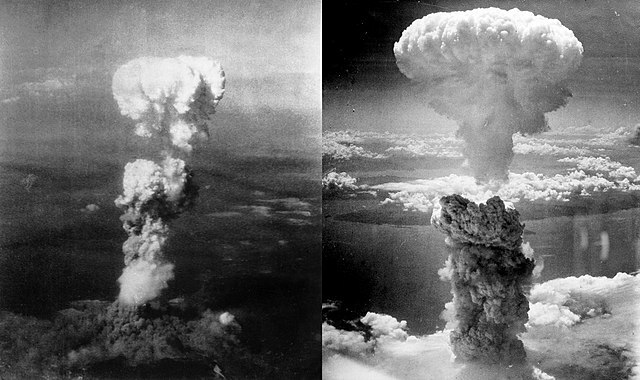 This was also the largest and most sustained aerial bombing campaign to that date. The following is a picture of German Bombers over the English Channel and also, a picture from the bombing of London. Mackenzie asked of Canada not to immediately conscript but to be able to take back its promise not to conscript during the 1940's election. In other words, "Conscription if necessary" The Bill passed with a majority of 63 percent. Also known as Operation Dragoon this was taken into place after D-Day had finished this was plans to liberate a majority of the German-captured countries. It began with France, Paris was liberated August 25th. Canada specifically helped liberate France on the beaches of Normandy and also flushed the Germans out of the Netherlands and freed it from German Control. On 29 April 1940, the first Canadian training course officially commenced, with 221 recruits. The first BCATP-trained pilots posted to Europe as a group were 37 RAAF personnel who graduated in November 1941. This was Germany's plan to invade Russia. The invasion was set for 15 May 1941 but on 5 December 1940, Hitler received military plans for the invasion. Note: Hitler's Mein Kampf hinted to Germany invading Russia saying that Germany will rule the east as it did 600 years ago. The British Navy was convinced that the Convoy System was crucial to the war across the Atlantic although found itself in a shortage of resources to introduce it adequately. This was a major Allied defeat against Germany, which took place at the German-occupied port of Dieppe. This battle was such a devastating defeat, it was ended in 5 hours and 50 minutes.